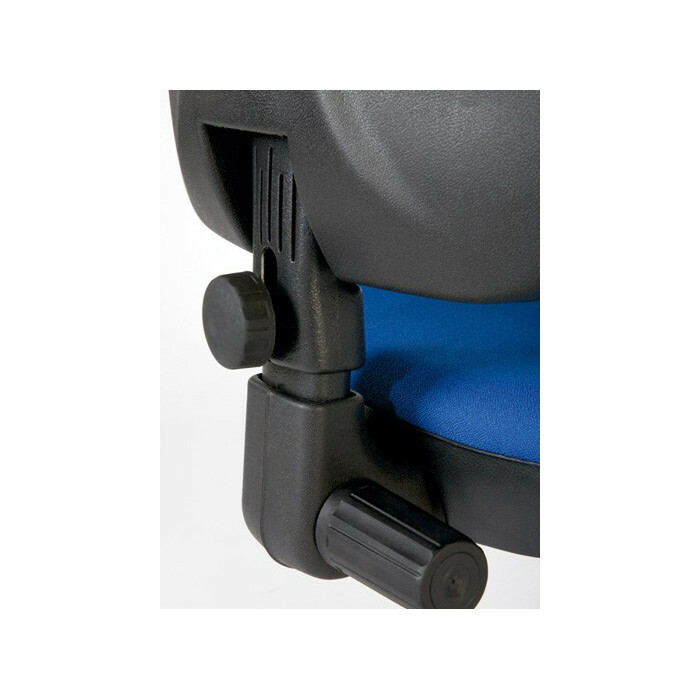 High back operator chair with fixed arms ergonomic shapes, with permanent contact mechanism. Different fabrics. Armrest included. ESTIMATED DISPATCH WITHIN 3 WEEKS + TRANSIT TIME ? Estimated dispatch within 7 days to 4 weeks To calculate delivery date, please add to dispatch time: Peninsula (Spain) 1 business day transit time Balearics and Portugal 3 business days transit time Other Europe destinations: 4 business days transit time If you buy products with different delivery times, the delivery will be the longest of all products included in the order. DOMESTIC PRODUCTS: All our products have a minimum of 24* months manufacturer warranty . 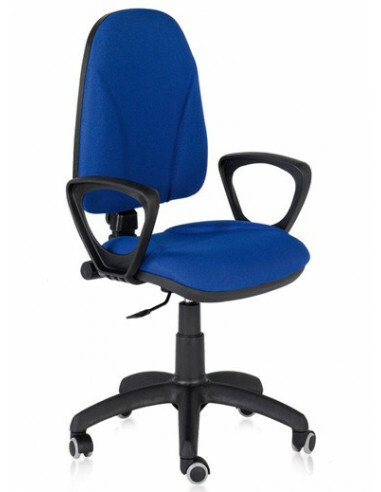 www.deskansit.com﻿ ﻿will repair or replace, without charge, any merchandise proved defective in material for a period of two years after the date of shipment.rnThe consumer must inform DESKandSIT.com of the lack of conformity within two months after he has knowledge of it. . . . *CONTRACT PRODUCTS:﻿ from 1 to 10 years manufacturer warranty (12 months﻿ warranty if nothin﻿g is indicated). 100% satisfaction or your money back? We want you to stay 100% satisfied with your purchase, so, we give you the right to cancel the contract in accordance with the following terms. You can do this by giving us notice before you receive the goods, or by giving notice no later than 7 working days after the day you received the goods. 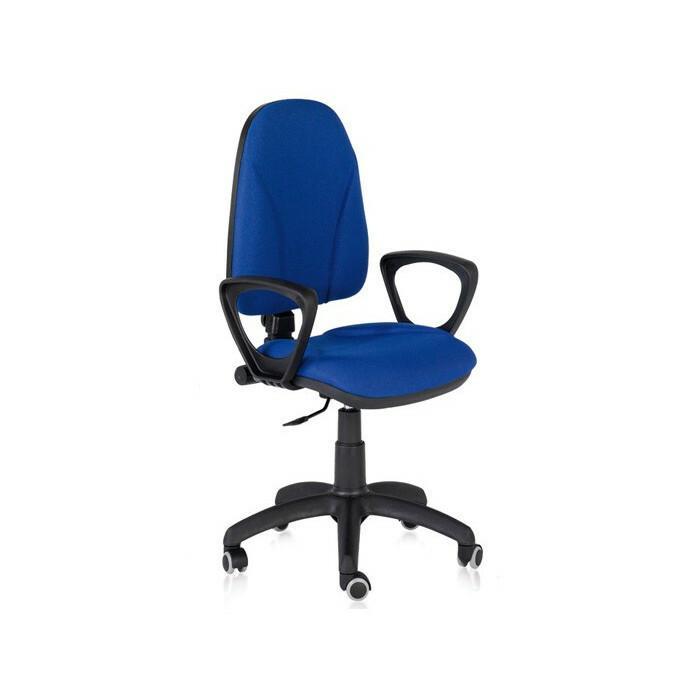 High back operator chair with permanent contact mechanism and fixed armrest. Seat and back ergonomically shaped. It has gas lift, base black nylon and rubber wheels. 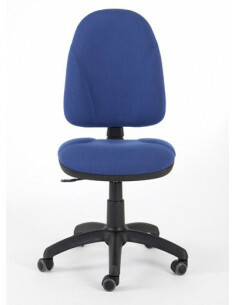 Upholstered in fabric black bali or blue bali.